What do people want to know about lymphoma? Here are the 20 most common questions asked by patients and family members when they contact Lymphoma Foundation of America for help and information. Thank you to doctors and researchers at MD Anderson, Mayo Clinic, Dana-Farber, Johns Hopkins, Memorial Sloan Kettering, National Cancer Institute, UCLA Jonsson, University of Nebraska Medical Center, Seattle Cancer Care Alliance, Moffitt Cancer Center, University of Michigan Cancer Center, and Stanford Cancer Institute for answers and general information. What are common symptoms of lymphoma? It is true that these common symptoms can also occur with other illnesses that are not lymphoma. Johns Hopkins Cancer Center cautions that sometimes the flu or infections mimic the symptoms of lymphoma. Hopkins notes that chills, chest pain, lower back pain, and rashes can also be symptoms of lymphoma. Because of this, lymphoma may be somewhat more difficult for doctors to diagnose compared with other cancers. That is why a doctor who specializes in lymphoma can provide appropriate diagnostic tests to help determine whether or not you have lymphoma. Lymphoma is the most common blood cancer, far more common than leukemia. Lymphoma is the 3rd most common childhood cancer, and the 6th most common cancer diagnosed in the U.S.
Lymphoma starts in our body’s lymph system which is part of our immune system. Our immune system has cells which help us fight diseases and infections. These disease fighting cells are called lymphocytes. When they start growing abnormally and uncontrollably, lymphoma cancer occurs. Our lymph system is a network of branching tubes that carry lymph fluid and disease fighting cells. It also has chains of small nodes which filter bacteria and viruses in the lymph fluid. How can my doctor tell if I have lymphoma? Your doctor will give you a physical exam to check for swollen lymphoma nodes and other lymphoma symptoms, will take a medical history, and order appropriate tests. If a swollen node, organ, or suspicious tissue is found, the doctor may recommend a biopsy so that your cells can be examined by a pathologist. A pathologist is a specially trained doctor who looks at human cells and tissue under the microscope. According to MD Anderson Cancer Center, “pathologists are experts in diagnosing and staging all types of lymphoma, which is important in choosing an effective treatment plan.” Lymphoma pathologists use special techniques for identifying the kinds of molecules, markers, and proteins that are found on the lymphoma cells. Your cancer doctor may recommend that you have a biopsy to look at cells in your nodes, bone marrow, and/or affected organs. She or he may also order imaging tests such as CT scan, MRI, and PET scan to look for signs of lymphoma. With a bone marrow biopsy, a needle is inserted toward the back of your hip/pelvis to extract a small bit of marrow tissue from your bone. An MRI (magnetic resonance imaging) is similar to a CT scan, but instead of using x-radiation, an MRI uses magnets and radio frequency waves to view internal organs, soft tissue, and central nervous system. A PET scan (positron emission tomography) involves injecting a radioactive sugar tracer substance in your bloodstream. A positron camera will detect the radioactivity and take cross-section images of the inside of your body. Staging is a diagnostic description where numbers 1, 2, 3, and 4 are used to describe where the lymphoma is located in your body and whether or not it has spread. Staging is based on the size and features of the lymphoma, and how far it has spread from its original site in your body. How do doctors decide which treatments to recommend? It is important for patients to think carefully about their choices. You must weigh the benefits of each treatment option against its risks and possible side effects. Your cancer doctor will help you do this. Ideally, your treatment plan should be tailored to you personally, based on your general health, age, symptoms, and stage of lymphoma. American Cancer Society says that “an important part of the treatment for many people is supportive care.” This type of care can help prevent or treat problems such as infections, low blood cell counts, dry mouth, lack of appetite, nausea, vomiting, neuropathy, and other symptoms caused by the lymphoma or your cancer treatments. Treatment for hodgkin lymphoma is based largely on the stage (extent of the cancer), a person’s age and general health, and the type and location of the hodgkin lymphoma. For patients with hodgkin lymphoma, cure is the goal. Almost 90% of hodgkin patients go into remission, often long term or lifelong. If you have nonhodgkin lymphoma, there are many treatment options. Ideally a team of lymphoma specialists will make recommendations to you. If the lymphoma is indolent (slow growing or low grade) and not aggressive (rapidly growing), and you have few or no symptoms, one of your options is “watchful waiting” sometimes called “watch-and-wait” or “active monitoring.” People with indolent lymphoma often live for many years or even decades and need only short courses of treatment from time to time. Should I get a second opinion on my lymphoma diagnosis? What if I am pregnant, considering becoming pregnant, or wish to have children in the future? According to the National Cancer Institute (NCI), a treatment plan for a pregnant woman with lymphoma must be carefully chosen in order to try to protect the fetus. Treatment decisions are based on the mother’s wishes, her stage and grade of lymphoma, and how far along the pregnancy is. The treatment plan for a pregnant woman may change as the signs and symptoms of the cancer and the pregnancy change. Choosing the most appropriate treatment is a decision that is made by the woman, with her family and health care team as support. A landmark case brought by the American Civil Liberties Union (ACLU) established the right of a pregnant patient to receive cancer treatment, including chemotherapy, even though there may be risks to the fetus. American Cancer Society says that ". . . if a woman is pregnant and diagnosed with lymphoma, treatment options may depend on several factors. The woman and her doctor must take into account the extent of the lymphoma, how quickly it is growing, how many months the pregnancy is, and the woman’s own personal preferences." Generally, if lymphoma is to be treated during pregnancy, it is sometimes delayed until after the first trimester, if possible, because risks to the fetus may be less. If the lymphoma is diagnosed during the second half of the pregnancy and is not causing major problems, a woman may be able to watch-and-wait until the baby is born (sometimes inducing labor late in the pregnancy). The European Hematology Association (EHA) says that when active lymphoma is diagnosed during the first trimester, "treatment with a standard chemotherapy regimen following pregnancy termination should be recommended." With patients at low risk, including stage 1 hodgkin lymphoma or indolent nonhodgkin lymphoma, may be able to be delayed until the end of the first trimester, while keeping the patient under close supervision. "When lymphoma is diagnosed during the third trimester, evidence suggests that chemotherapy may be administered without apparent increased risk of severe fetal outcome." Georgetown Medical Center says that "...precautions are needed to protect the health of both you and the fetus. We account for the age of the fetus and your wishes, with our recommendations adjusting for any changes with the cancer or the pregnancy." Cancer treatments can seriously affect your fertility. If you are considering becoming pregnant in the future after your cancer treatments are finished and you are in remission, you should discuss your plans with your cancer doctor and a reproductive specialist well before you start any cancer treatments. According to the Mayo Clinic, “Your fertility can be damaged by just one cancer therapy session . . . and for women, some methods of fertility preservation are typically done during certain phases of the menstrual cycle." Both men and women should discuss how their fertility can be preserved through harvesting and freezing eggs and sperm and other methods. What is a "clinical trial?" A clinical trial is an experiment in which patients volunteer to be part of a research study. Researchers are testing certain drugs, diagnostic procedures, cancer treatments, and/or combinations of various novel therapies, to see whether they are safe and effective for patients. According to the Dana-Farber Cancer Institute, “Clinical trials help scientists answer questions about new cancer therapies.” Patients sometimes consider a clinical trial because it may give them access to treatments that would otherwise not be available. So far, do patients have better outcomes (remission) in one group or the other? Are side effects better or worse if you are in one group or another? Is the clinical trial for my type of lymphoma and my circumstances? How long will I be followed after my participation is over? Are there other clinical trials I should consider for my type of lymphoma? Will the treatments given to me in this trial preclude my using certain other treatments in the future? Chemotherapy is a type of cancer treatment where chemical medicines are used. There are a number of effective drug combinations available to treat lymphoma. Chemotherapy is generally administered every two to three weeks for a number of cycles. The drugs are typically given to patients as injections or slow infusions into your veins and/or taken as pills. Side effects depend on which drugs are given, the dose used, and length of time for treatment. Side effects may include hair loss, tiredness, loss of appetite, nausea, vomiting, diarrhea, weight loss, neuropathy (numbness in your hands and/or feet). Radiation is high energy rays used to kill lymphoma cancer cells by damaging the genetic materials in the cells. Some patients receive targeted radiation from a large machine aimed at the neck, armpits, or other parts of the body affected by lymphoma. This type of treatment is generally given 5 days a week for a number of weeks. Some patients may receive radiation directed to a larger area of the body depending on how widespread the lymphoma is. Side effects of radiation depend on the dose and the body area that is radiated. Skin in that area may become red, dry and tender. Hair loss in the area may also occur. According to the Memorial Sloan Kettering Cancer Center, “If the head, face or neck receives radiation, ‘dry mouth’ may result.” Dry mouth occurs when the salivary glands in your mouth are damaged and the saliva becomes thick, or you can no longer produce enough saliva to keep your mouth moist. The National Cancer Institute (NCI) defines stem cell transplants as ". . . procedures that restore blood-forming stem cells in people who have had theirs destroyed by very high doses of chemotherapy or radiation therapy that are used to treat cancers." A stem cell transplant provides a patient with new healthy stem cells. Stem cells are immature cells that can grow into different parts of the blood. Stem cells are taken from healthy marrow (soft fatty tissue inside bones), and are used to replace the marrow that has been destroyed or damaged by chemotherapy and radiation. Once the new stem cells are given to a cancer patient, these cells start to grow and produce new blood. Patients who have a stem cell transplant may experience pain, chills, fever, rashes, fatigue, infections. New treatments for lymphoma are being developed that use biologically targeted drugs. These drugs can affect the cancer’s ability grow and divide. The new treatments are sometimes more effective and less toxic than standard chemotherapy. Currently many NCI-designated comprehensive cancer centers are offering clinical trials with biologically immune-enhancing targeted drugs to improve treatment options for nonhodgkin patients. Immunotherapy uses your body’s own immune system to help fight the cancer. There are several types of immunotherapy: monoclonal antibodies, vaccines, radioimmunotherapy, donor lymphocyte infusion, cytokine therapy, chimeric antigen receptor T-cell therapy, allogenic stem cell transplant, and checkpoint inhibitors. Immunotherapy is often used in combination with other lymphoma treatments as “maintenance therapy” after you are in remission or close to it, or as a single treatment. Immunotherapy generally causes fewer side effects than chemotherapy. The theory for immunotherapy is that our body’s immune cells (antibodies) are supposed to identify invading illness-producing bacteria and viruses, fungus, poisons, allergens, and cancer-causing chemicals in our environment, air, food, and water. The antibodies should be able to identify, attack, and overcome the invaders. With cancer, the antibodies do not seem able to do their job. Perhaps this is because cancer cells are not like typical invaders. Cancer cells were once healthy normal cells that became abnormal (altered) and turned into mutated versions of once healthy cells. With immunotherapy, the goal is to produce in a laboratory some cancer-destroying antibodies that are capable of finding and killing cancer cells. Our body’s immune system is a network of cells and organs that help keep us healthy. Sometimes illness-producing invaders (called “antigens” which are usually proteins that attach to the surface of cells) come into our body. When they contact our skin or mucous membranes, they stimulate an immune response. Certain white cells in our blood called “antibodies” surround the invading cells, marking them as targets for other white cells to attack and kill. Immunotherapy can improve or boost our body’s immune system. What happens with various types of immunotherapy? Chimeric antigen receptor (CAR) T-cell therapy is available to patients through clinical trials (experimental research studies). With CAR T-cell therapy, some of the patient’s blood cells are removed through a process called “apheresis” (the collection of blood components). The T-cells are taken out and sent to a lab where they are genetically modified by adding a specific chimeric antigen receptor. Then they are re-introduced into the patient’s body following chemotherapy. Cytokine treatment is used to help stimulate the body’s immune system in combination with monoclonal antibodies, vaccines, or chemotherapy. Cytokines are hormones produced by the body that help your immune system be active. Examples of cytokines used to treat cancer are: interleukin-2, interferon, and granulocyte macrophage colony stimulating factor (GM-CSF). Donor lymphocyte infusion may be helpful for patients who have relapsed after a stem cell transplant. Doctors transfer lymphocytes (a kind of white blood cell) from the stem cell donor’s blood to the patient. The goal is for a strong immune response by the patient where the lymphocytes suppress or attack the cancer cells. Monoclonal antibodies are immune proteins made in a laboratory. They are designed to react with or attach to antigens on the surface of cancer cells. A monoclonal antibody can block or interfere with the cancer cell’s activity. Because it attaches to a specific target or marker on the cancer cell, monoclonal antibody therapy is also called “targeted therapy.” Monoclonal antibodies can cause side effects, but they are generally milder than chemotherapy because they tend not to hurt normal cells. Doctors use monoclonal antibodies alone or with other substances attached to them. Some have radioactive isotopes or toxins attached, which are designed to damage cancer cells. Radioimmunotherapy combines an antibody with a radioactive substance. It is given to patients by IV in their arm. Technicians will scan your body to locate the cancer cells where the antibodies have attached themselves. You will then receive additional antibodies with a full dose of radiation. It gradually works and takes several months for the cancer cells to die and tumors to shrink. The goal is for the radioactive molecules to destroy the cancer cells. It does not usually cause hair loss. Monoclonal antibodies are immune system proteins. Antibodies attack specific parts of a cancer cell. Immune checkpoint inhibitors are drugs which are intended to stimulate our own immune defense cells to identify and attack cancer cells. Cancer vaccines are substances put into the body to help start up an immune response against the lymphoma. Many patients who contact the Lymphoma Foundation of America have asked: How did I get lymphoma? The answer is complex and not altogether known for each individual. Yet there is much that we do know. Over the past 3 decades, the scientific community has reached a consensus to the question: Are pesticides linked to lymphoma? The answer is yes, there is an association between pesticides and lymphoma. Experts in the field of cancer epidemiology (causes of disease) have established that environmental exposures to chemicals that kill weeds, insects, and mold are associated with nonhodgkin lymphoma. There also appears to be a dose/duration relationship that puts someone at higher risk of developing lymphoma than people who have no exposures to these chemicals. Most all weed killers, insect killers, and mold and mildew killers contain synthetic chemicals that are widely used in schools, lawns, factories, offices, homes, public and private lands, gardens, and in farming. Pesticide use has increased dramatically. Pesticides can persist in our environment and can be found in the water we drink, the air we breathe, plants and crops that we grow, the animals we care for, and the food we eat. Every day we make choices about our health. Since there is a relationship between pesticides and lymphoma, you can choose to make an effort to reduce your exposure to environmental carcinogens. People are now thinking seriously about this when they see their young children and pets playing on grass lawns treated with pesticides. Why did I get lymphoma? There are more than 60 different types and subtypes of lymphoma including: Nonhodgkin, Hodgkin, T-cell, B-cell, Burkitt, Follicular, Mantle Cell, Chronic lymphocytic leukemia, Waldenstrom, Marginal zone, CNS, Mediastinal, Cutaneous, Lymphoplasmacytic, Immunoblastic. While scientists have found that there is an association between lymphoma and exposures to certain cancer-causing chemicals in the environment or with particular occupations, no one can say for sure why an individual develops cancer. People with immune deficiencies whether from inherited conditions, treatment with particular drugs, or organ transplants have a much higher chance of getting lymphoma than people without a weakened immune system. People who have HIV infections have a higher risk of developing lymphoma. People with certain autoimmune diseases (the immune system attacks healthy cells and/or organs) also have an increased risk of lymphoma. These autoimmune diseases include lupus, rheumatoid arthritis, sjogren, and celiac disease. People with certain chronic infections are also at increased risk. For example, infection with the Epstein-Barr virus is thought to be associated with a number of lymphomas including hodgkin lymphoma. Having an episode of infectious mononucleosis is also a risk factor for hodgkin lymphoma. Exactly how the virus plays a role in lymphoma is an unanswered question. Further research is needed. Getting older puts you at higher risk of cancer in general. However, hodgkin lymphoma more commonly occurs in children and young adults ages 15-40 and there is another surge in people over age 55. More men than women get lymphoma, regardless of ethnicity. Regarding race, the greatest incidence of lymphoma in the U.S.(in descending order is): white, hispanic, native American, African American, Asian. Are certain occupations linked to lymphoma? People who work in certain occupations or have certain hobbies such as carpenters and wood workers who handle paint strippers and volatile stains and degreasers have higher rates of lymphoma than the public at large, as do pesticide application workers, gardeners, lawn care workers, and landscapers (chronic exposure to weed killers, fungicides, and insecticides), golfers (exposure to pesticide-treated turf), farmers and farm families (exposure to pesticides and agricultural runoff in well water) are at higher risk of lymphoma. Studies of survivors of nuclear plant accidents have shown that they have a significant risk for developing several types of cancer including lymphoma, leukemia, and thyroid cancer. There is some limited evidence that hairdressers who are exposed to chemicals in their work environment including hair dyes may have a higher risk of lymphoma. But more studies are needed to determine whether or not this is a bonafide occupational risk. Exposure to benzene, a toxic chemical, also increases your risk of lymphoma. There is scientific research that shows a strong association between benzene exposures and lymphoma. Benzene is typically manufactured from petroleum. It is found in gasoline, cigarette smoke, paint thinners, varnishes, paints, and sealers. It is thought that cigarette smoke including “second-hand smoke" is a source of benzene exposure for some people, as is car exhaust. People are also exposed to benzene in jobs related to the petrochemical (gas, oil, refining, etc.) industries, in the manufacture of plastic, rubber, detergents, and other substances such as pesticides and dyes. More studies on toxic chemical exposures and cancer are needed. Scientists today have sufficient information to conclude in their journal publications that many chemical solvents including benzene are linked to cancer. Can lymphoma come back years later? Like many cancers, lymphoma can return after you have been in remission. This is called a “relapse.” The good news is that lymphoma may not come back at all. Hodgkin lymphoma is considered a curable disease. In many cases when nonhodgkin lymphoma does come back, it can successfully be treated with newer regimens and approaches, and long term remissions can once again be achieved. “Maintenance therapy” is a term that describes medical treatment given to cancer patients who are in remission in an attempt to prevent a return of the lymphoma. There are different types of maintenance therapy depending on the type of lymphoma. In the best circumstances, a person’s initial long term remission with nonhodgkin lymphoma becomes a lifelong cure. This does happen. I am afraid that I will lose my job or my health insurance or not be hired because of my cancer history. Where can I get advice? The Family and Medical Leave Act is a law that allows people with a serious illness such as cancer to take unpaid leave of absence, up to 12 weeks, to get medical care or manage your symptoms. Your job-based group health insurance is continued during your absence from work. Your medical leave can include many accommodations such as working part-time, 3 days a week, shifting your hours etc. Your unpaid leave can be taken after you have used up your sick leave, vacation time, or personal days off. Some employers allow other workers at your job to donate their own sick days or vacation days to you to help you with your recovery time from cancer. Many small employers (less than 50 employees) however may not be covered by the requirements of the Family and Medical Leave Act. The Americans with Disabilities Act (ADA) is a federal law that protects you from being fired from your job simply because you are sick and need medical treatment. Having cancer is considered a type of “disability” under the law. For information about the Americans with Disabilities Act and for answers to your questions, you may call the ADA assistance line: 1-800-514-0301 or 1-800-514-0383 (TTY) at the U.S. Justice Dept. The phone number where you can get free advice and information about your situation from Cancer Legal Resource Center is: 1-866-843-2572. 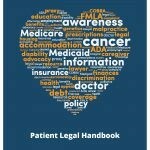 The latest edition of the Center’s free Patient Legal Handbook is available online and can be downloaded at the Patient Legal Resource Center web site. CancerCare is a national nonprofit organization that educates patients and professionals about cancer and its treatments. In addition, CancerCare discusses many legal topics that cancer patients want to know about: “managing your cancer treatment while working, understanding your legal protections in the workplace, talking with your healthcare team, and practical solutions to workplace challenges.” CancerCare’s phone number is: 1-800 813 HOPE (4673). CancerCare also provides excellent free audio education workshops with experts in the field of lymphoma research and treatment. These workshops are held periodically throughout the year, and are co-sponsored by Lymphoma Foundation of America and many other national cancer charities and patient support organizations. Visit the CancerCare website for a list of upcoming lymphoma topics and to register for the cancer connect workshops. Yes. It is always a good idea to get a second opinion – or a third opinion – to make sure that your lymphoma diagnosis is correct. Cancer doctors expect and often encourage their patients to get more than one opinion. Let your doctor know that you are getting a second opinion. Your doctor can assist you to obtain all of your current medical records, test results, clinical notes, biopsy slides, and digital films for the second opinion doctor to review. It is best to get an independent second opinion from a lymphoma specialist who is located at a different (independent) cancer center or hospital from where your doctor is located.